With Black Friday & Cyber Monday now over, online e-commerce website owners should now get ready for the Christmas & New Year shopping rush. With e-commerce being the fastest growing retail market in Europe, it is not to be sniffed at! More and more companies are putting their product stock online as this is the easiest and quickest way for their potential customers to view what they have to offer and make a purchase. Customers no longer need to leave the comfort of their own home to do any shopping, from the weekly food shop to birthdays, Christmas shopping and even impulse buying. If you are any form of retailer and you do not have any sort of product line on your own or third party website, then you are sadly falling behind and losing potential sales worth a lot of money. It’s for this reason, sadly, that both customer and vendor need to ensure that all necessary precautions are being taken to secure their details in a world of ever growing online fraud and identity theft. Anyone who has suffered of such crimes will tell you that they are detrimental, stressful and life consuming crimes to fall victim of that can effect you emotionally and psychologically. Cyber crime is being tackled by the governments and police, but unfortunately, it is such a fast growing crime with so many variables and ever changing software and new forms of payment gateways and data storage, that it is easily adaptable, especially if the criminals are well educated and quick thinking. If you are a business owner that sells products online, there are a few steps to take which could help maintain online security and deter criminals to help prevent you customers from their data/identity being stolen. CAPTCHA – Install CAPTCHA on all forms. CAPTCHA are those annoying pictures you see where you have to type in the letters and numbers you see to prove you are not a robot. This is one of the best forms of preventing spam mail which could potentially harbour malware, viruses, spyware or adware. 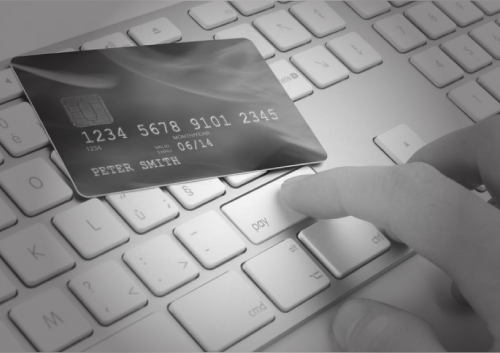 Payment Gateways – Use a well known payment gateway to take payments. This will instill trust in your customers that you are using a secure form of payment. SSL Certificates – Use Secure Socket Layer (SSL) Certificates when taking any details from your customers such as addresses and payment information. This will ensure that any details being taken over the internet are on a secure network that is difficult for unwanted people to penetrate. Dedicated Servers – Invest a little more to host your website on a dedicated server. This means that your website and only your website is being hosted on a particular server as apposed to a shared server. Shared servers are more cost effective but can pose some security threats. These are some steps you can take as an online vendor to prevent unwanted threats and help stop online crime. For a more comprehensive list of ways to make your online store (or any website) for secure, contact us to see how we can help. If you are an online shopper, you need to more or less be vigilant and use online e-commerce shops that use forms of online crime prevention, such as the steps above, to ensure your online shopping will be made securely. Look for the all important padlock symbol in the browser window, especially during checkout. This means the online retailer has invested in an online SSL certificate so any information you enter is being kept safe and away from prying eyes. Only use shops on ecommerce sites that use payment gateways such as SayPay, PayPal or Security measures taken by your bank like “Verified by Visa” or “SecureCode”. This will ensure that your online purchases are protected if anything was to go wrong. This will also mean that none of your payment details i.e. credit/debit card details are physically held by the online shop. Try not to use debit cards. You may be charged a small fee to use credit cards, but better to be safe than sorry. If you use a debit card to make a payment, your money is not protected. If you don’t receive the item, you are not guaranteed to get that money back. which.co.uk outline Section 75 of the Consumer Credit Act which specifies that your money is protected for any purchases made on your credit card. Read more information on this here. We hope you do a little research yourselves and help make Christmas and New Year more enjoyable. Have a cracking Christmas & Prosperous New Year from all of us at Strict Media.